This Irish raggedy Andy doll features shamrocks. 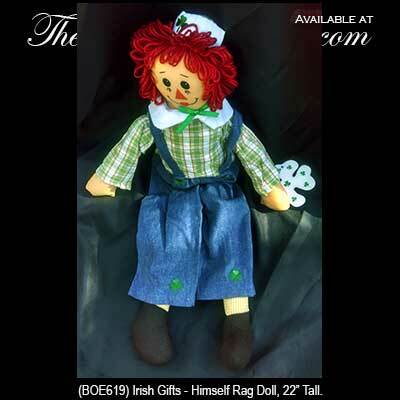 This Irish doll is a raggedy Andy that features embroidered shamrocks on his pants and hat along with red yarn hair. The Irish raggedy Andy doll measures 22" tall and he is complete with a shamrock history card that is complements of The Irish Gift House.